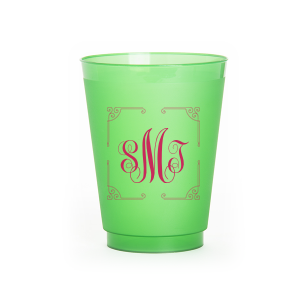 Add an elegant touch of personalization to your celebration with custom designed bar/bat mitzvah 16 oz frosted cups. Design a look to complete your party theme by browsing galleries of design ideas, then choosing a screen printing color that coordinates with your party. Create your personalized bar/bat mitzvah 16 oz frosted cups today! Mazel Tov! 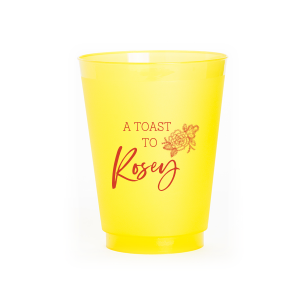 Celebrate your child’s important life milestone in style with For Your Party’s personalized bar/bat mitzvah 16 oz frosted cups! Browse our over 1300 graphics to find the perfect look to complement your party theme. 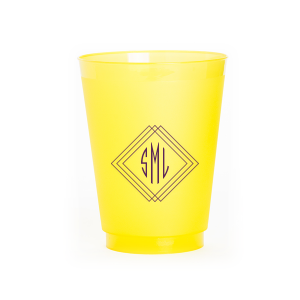 With dozens of screen printing colors to choose from, and the option to print on both sides of the cup, you’ll have no problem making your personalized bar/bat mitzvah 16oz cup dreams a reality. The custom designed bar/bat mitzvah 16oz frost flex cups hold a generous serving of cold beer for the adults or yummy iced Italian soda for the kids. 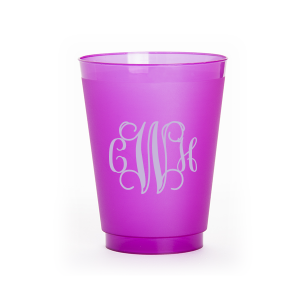 Reusable, recyclable, shatter-proof and dishwasher safe, your personalized bar/bat mitzvah 16 oz frosted plastic cups are useful at the party and a fun party favor for guests to take home, too!